Denmark's Queen Margrethe said the "terrible accident ... touches me deeply"
A passenger train is seen on the Great Belt Bridge in Nyborg, Denmark, after a railway accident on Wednesday, Jan. 2, 2019. Six people were killed in a train accident on a bridge connecting two islands in Denmark, a rail operator said. 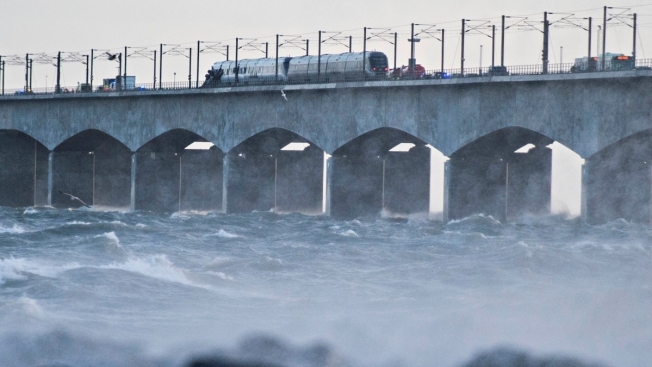 Six passengers were killed when a Danish train crossed a bridge that had been closed to cars because of high wind Wednesday, and authorities investigated if falling cargo from a passing freight train caused Denmark's deadliest railway accident in 30 years. 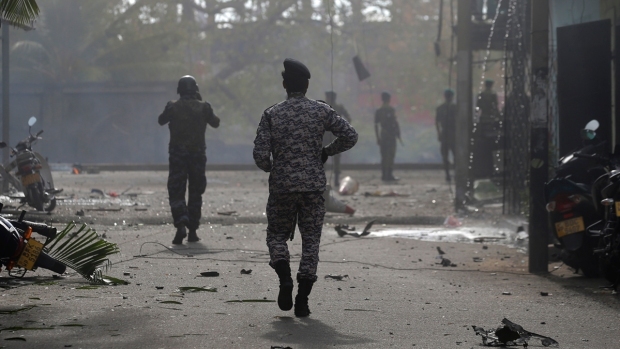 Police spokesman Lars Braemhoej said one possible cause of the "considerable damage" on the passenger train was getting struck by cargo from the freight train, but noted that authorities "do not know precisely what caused the accident,"
The headline on this story has been corrected. The Soroe train crash occured in 1988.